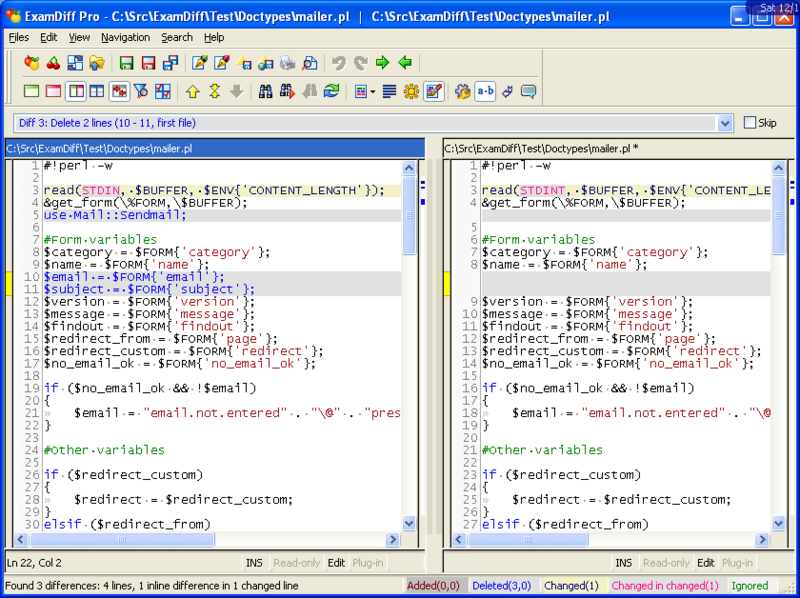 This brings us to our other new feature: syntax highlighting. 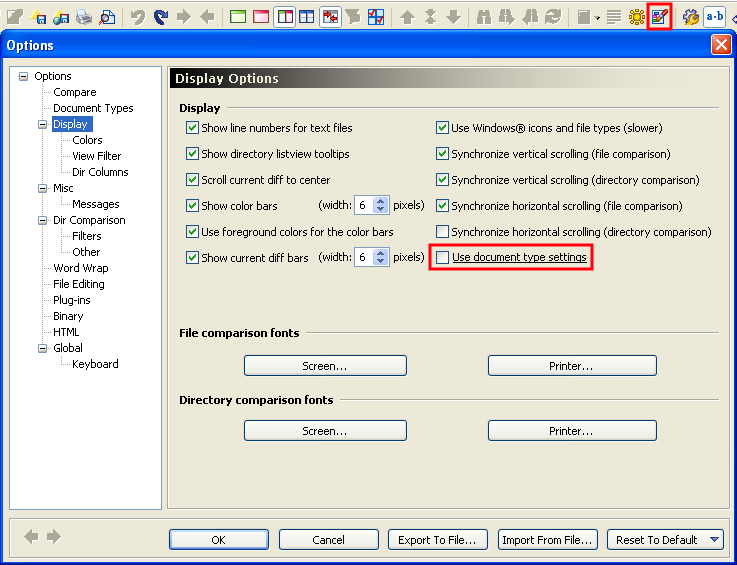 Syntax highlighting is in effect when Document Type Settings are enabled, either in the Options | Display dialog, or with the Use document type settings toolbar button. 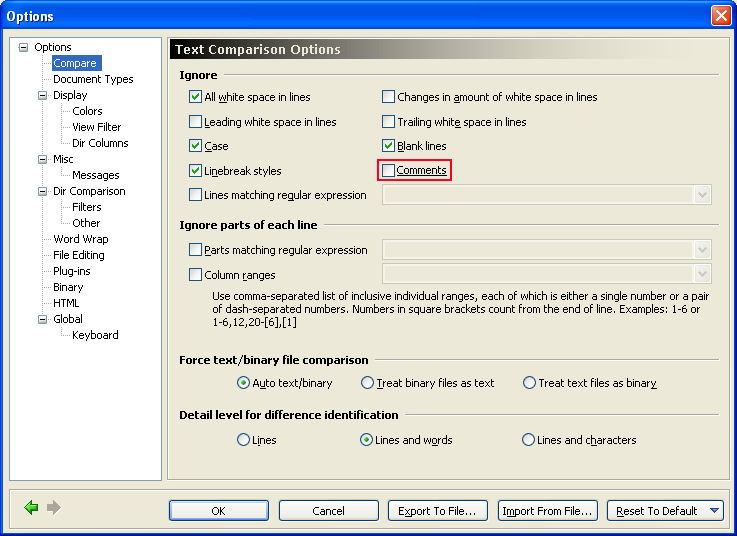 When Document Type Settings are enabled, documents that belong to preinstalled document types have certain syntax elements highlighted in Identical blocks. 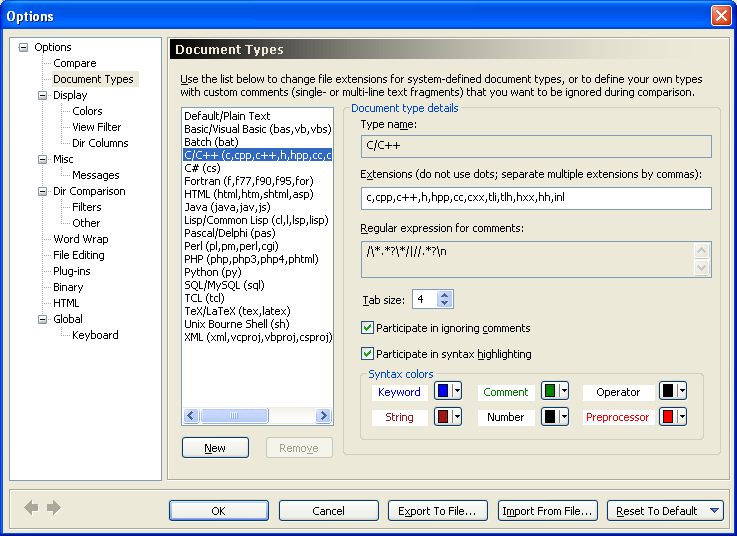 Every document type has five or six different syntax types, which can include numbers, operators, comments, strings, commands, tags, and more.